Moore Chiropractic Center, an established, family-owned practice, has been delivering quality family chiropractic care to Windham, Maine and the Sebago Lakes region since 1976. 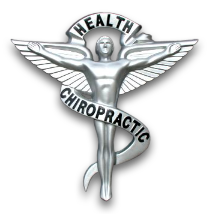 Windham, Maine Chiropractor Dr. Alan Moore, D.C., is a second-generation Chiropractor and is one of the finest chiropractors in the Greater Portland and Sebago Lakes region. Dr. Alan Moore specializes in quick and effective pain relief through modern chiropractic techniques, posture and flexibility training, and core strength training. Each patient is unique and different, and we understand that. We listen carefully to the patient to identify root causes of pain. Our unique ability to communicate and apply decades of knowledge in chiropractic care has allowed us to treat generations of families. Our easy to work with short-term and long-term chiropractic pain relief options have allowed thousands of satisfied chiropractic patients to visit our office over the years. Our convenient, in-house payment plans have given hundreds of patients access to chiropractic care and pain relief they were unable to afford with other chiropractic offices. We accept most insurance plans and offer secondary in-house options such as Care Credit Plans, ChiroHealth Plans, Membership plans, and Wellness Plans. Call us today at 207-892-8356 and find the same pain relief that thousands of our patients have experienced over the years. Our goal is to provide you with the best chiropractic care you can find in the Sebago Lakes Region and it’s surrounding communities of Windham, Raymond, Casco, Naples, Bridgton, Standish, Gray, Westbrook, and Portland. Moore Chiropractic Center provides affordable and effective Massage Therapy to our patients and clients. Save big by signing up for our Monthly Massage Membership! We also offer package deals for combining Chiropractic and Massage Therapy. Types of Massage offered at Moore Chiropractic Center are primarily Therapeutic Massage, Deep Tissue and Fascia Massage, and Sweedish Massage. Another service offered at Moore Chiropractic Center is custom built functional foot orthotics. We use a state of the art 3-D foot scanner to design and build functional foot orthotics specifically and uniquely for each patient. The company we use to build the custom orthotics is called Foot Levelers. They have been making custom orthotics since 1952 and they have pioneered and revolutionized the foot orthotic industry. Check them out and learn more about them at https://footlevelers.com. If you are new to our website, please browse around to learn about our practice and to discover the wonders of chiropractic pain relief and wellness that exist in our Windham, Maine chiropractic office. Click on the "email us" link below to ask us a question or to send us feedback. Use the "send to friend" link to share our health information with your friends so that you can begin a journey to wellness together! To receive free wellness and health articles, please subscribe to our bi-weekly newsletter. If you are already a newsletter subscriber, please explore the member wellness section of our website for animated exercise videos, wellness articles, chiropractic resources, and health facts specifically targeted for your wellness needs.